The small, walled, area around Seton Collegiate Church is beautifully kept by Historic Scotland. 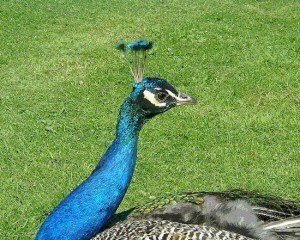 Peacocks, and Peahens, roam free. This one was so tame that it appeared to ‘pose’ when a camera was produced. They are an entirely appropriate symbol to be found at Seton. 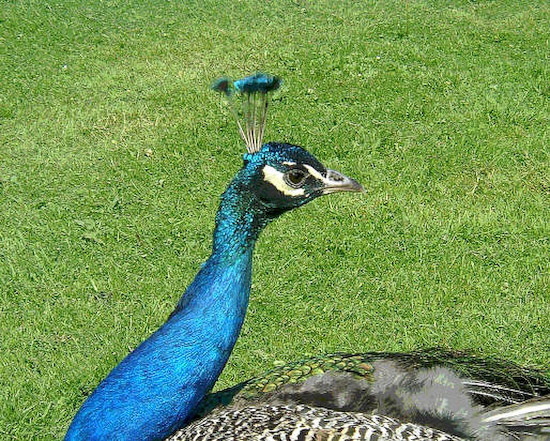 In the Middle Ages the flesh of a Peacock was considered to be incorruptible and was, therefore, a symbol of immortality and of Resurrection. To find a living Christian symbol strutting around as if it ‘owned the place’ served only to emphasize the origins and purpose of this place.